Looking for deals in Tokyo? Located just a 3-minute walk from Tsukuba Express Asakusa Station, the b asakusa is 400 metres from Sensoji Temple. Great location in Asakusa. Staff were mega friendly and helped us book a taxi for the airport in the morning. The room was very clean and tidy, mega comfy bed. Wish we had stayed here for longer! Situated in Tokyo, 400 metres from Hachiko Statue, The Millennials Shibuya is an adult only accommodation. The property has a terrace and rooms with free WiFi access. it was all really good, very modern and nice place. 800 metres from Sensoji Temple, Hotel Gracery Asakusa provides a 4-star accommodation in the Taito district of Tokyo. The property is located 1.7 km from Tokyo Skytree and 1.8 km from Edo Tokyo... We were amazed with this newly opened hotel. Hyatt Centric Ginza Tokyo offers rooms in Tokyo. Free WiFi is available throughout the property. 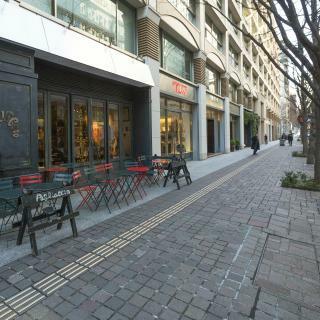 Guests can enjoy shopping at Ginza Six, a 4-minute walk from the property. The location of the hotel , friendly staff and it has all the facilities and very clean . Offering a seasonal outdoor pool and spa centre, Keio Plaza Hotel Tokyo Premier Grand is set in Tokyo in the Tokyo Prefecture Region, 1.5 km from Shinjuku Gyoen National Garden. Highly recommend staying on the club floors and get access to the club lounge! Located in Tokyo, 2.8 km from Shinjuku Gyoen National Garden, GLOU Higashi Shinjuku has a garden and rooms with free WiFi access. Such friendly, helpful staff. Lovely little room for a solo trip. 1.7 km from Roppongi Hills, ICI HOTEL Akasaka by RELIEF is set in Tokyo and features rooms with free WiFi. Great location, very nice hotel. Set in Tokyo, within 3.2 km of Ryogoku Kokugikan National Sumo Stadium and 3.6 km of Tokyo Skytree, 元 飯店(Moto Hotel) features free WiFi. The property is situated 4 km from Japan Imperial Palace. This property exceeded our expectations. Located a 6-minute walk from Ueno Station, Hotel Emit Ueno features a bar and furniture from ACME Furniture. Free WiFi is provided throughout the property. We were expecting a much smaller room, but it was quite alright. Set in Tokyo, APA Hotel & Resort Nishishinjuku-Gochome-Eki Tower offers free WiFi. 1.4 mi from Meiji Jingu Shrine, the property is also 2.5 km away from Shinjuku Gyoen National Garden. Considering the scale of hotel, it provides SPA. It quite exceeded my expectation. Situated in Tokyo, 7 km from Tokyo Disneyland, APA Hotel TKP Tokyo Nishi-Kasai offers air-conditioned rooms with free WiFi. I love the ambiance of the hotel. The staff were nice, friendly and we did not encounter problems. Conveniently centered between 3 different train stations, Hotel Felice Akasaka is just a 3-minute walk from Akasaka Station, 4-minutes away on foot from Akasaka-MItsuke Station and a 5-minute stroll... Perfect staff, very clean room, very good location. The Barn Tokyo is set in Tokyo. In a prime location in the Taito district, this cosy hotel is located 1.5 km from Sensoji Temple. JR Yamanote Uguisudani Station is just a 4-minute walk away. The staff was extremely welcoming, friendly, and helpful. Situated a minutes’ walk away from Akasaka-Mitsuke Station of the Tokyo Metro Ginza and Marunouchi Line, The Prince Gallery Tokyo Kioicho boasts free WiFi throughout the entire property. Amazing hotel - I simply cannot recommend this hotel enough. Designed by Kengo Kuma, Capitol Hotel Tokyu boasts 3 restaurants, a 14th-floor indoor pool and direct access to 4 subway lines. Rooms are spacious for Tokyo and have city views. How clean the rooms were and the amazing view! Located at the heart of the downtown Roppongi area in Tokyo's tallest building, the 53rd-storey Ritz-Carlton offers elegant luxury high above Tokyo’s busy streets. The staff is amazingly nice, the facilities are luxrious and very comfortable. Located a 11-minute walk from JR Shibuya Station, Trunk (Hotel) offers free WiFi throughout the property. A bar and 2 dining options are available at this non-smoking hotel. Great location! Comfy beds, quite rooms. Breakfast is quit fancy. Maybe a bit heavy at times. Situated in Tokyo, 8 km from Tokyo Tower, Daiwa Roynet Hotel Tokyo Ariake provides rooms with air conditioning and free WiFi. very nice!!! Clean and comfortable. Next time I will be here again! How much is a hotel in Tokyo for this weekend? The average price per night for a 3-star hotel in Tokyo this weekend is ₱ 14,173 or, for a 4-star hotel, ₱ 22,491. Looking for something even fancier? 5-star hotels in Tokyo for this weekend cost on average around ₱ 50,804 per night (based on Booking.com prices). How much does it cost to stay in a hotel in Tokyo? On average, 3-star hotels in Tokyo cost ₱ 6,478 per night, and 4-star hotels in Tokyo are ₱ 10,576 per night. If you're looking for something really special, a 5-star hotel in Tokyo can on average be found for ₱ 24,047 per night (based on Booking.com prices). What are the best hotels in Tokyo near Tokyo Dome? Some of the best hotels in Tokyo near Tokyo Dome include global cabin Tokyo Suidobashi, Hotel Metropolitan Edmont Tokyo and Dormy Inn Korakuen. What hotels in Tokyo have nice views? 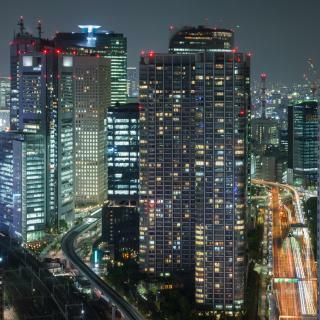 The Ritz-Carlton, Tokyo, The Prince Gallery Tokyo Kioicho, a Luxury Collection Hotel and Mandarin Oriental Tokyo have received great reviews from travellers in Tokyo regarding the views from their hotel rooms. What is the best neighbourhood to stay in Tokyo? 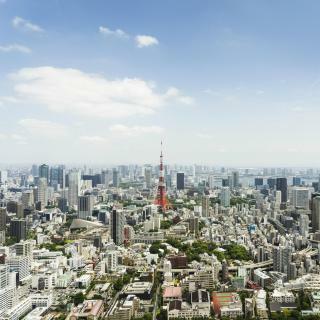 Chiyoda, Chuo Ward and Meguro Ward are popular with other travellers visiting Tokyo. What are the best hotels in Tokyo near Narita International Airport? Travellers who stayed in Tokyo near Narita International Airport (NRT) have said good things about Narita Airport Rest House, Narita Tobu Hotel Airport and Marroad International Hotel Narita. On average, it costs ₱ 7,656 per night to book a 3-star hotel in Tokyo for tonight. You'll pay on average around ₱ 10,537 if you choose to stay in a 4-star hotel tonight, while a 5-star hotel in Tokyo will cost around ₱ 22,584 (based on Booking.com prices). Which hotels in Tokyo are good for families? Many families visiting Tokyo loved staying at Hotel Ryumeikan Ochanomizu Honten, Imperial Hotel Tokyo and Hotel The Celestine Ginza. What are the best hotels to stay in Tokyo? Hotel Bellclassic Tokyo, Super Hotel Lohas Akasaka and Khaosan Tokyo Origami are some of the popular hotels in Tokyo. What hotels in Tokyo are good for couples? These hotels in Tokyo are highly rated by couples: Hotel Ryumeikan Ochanomizu Honten, Palace Hotel Tokyo and The Prince Gallery Tokyo Kioicho, a Luxury Collection Hotel. What hotels in Tokyo offer an especially good breakfast? For hotels in Tokyo that serve up a highly-rated breakfast, try The Tokyo Station Hotel, Richmond Hotel Premier Asakusa International and Mandarin Oriental Tokyo. The capital of Japan, Tokyo is a vast, teeming metropolis nestled between mountains and Tokyo Bay. It’s so huge that you’ll have to come to grips with public transport and maybe even experience being pushed onto a train. Yes, it does actually happen! Get your bearings by ascending the Tokyo World Trade Centre near the waterfront, and savour the fantastic views taking in the red-and-white Tokyo Tower and Shinkuju’s skyscrapers. North is Ueno, home to the best museums (including the Tokyo National Museum) and a large park bursting with cherry blossom in spring. Equally tranquil are the Chiyoda Imperial Palace and Gardens, surrounded by water. Also in gardens is the Meiji Jingu Shinto shrine in Shibuya, a youthful district where neon abounds. 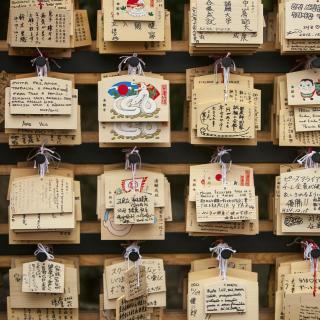 For more traditional Japanese culture, head to Asakusa whose Sensō-ji Buddhist temple is Tokyo’s oldest temple. Markets in the grounds sell a variety of wares, though shopping in Tokyo is, of course, fantastic wherever you go. 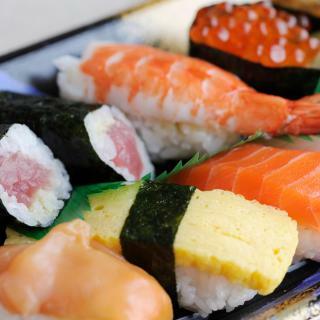 Whether you stay in a Japanese ryokan, luxury Tokyo hotel or a hostel, don’t fly out of Tokyo Narita Airport or Haneda Airport without having tried sushi. Another Japanese institution is the sento (public bath) and onsen (hot springs bath) – a must try. Also incredibly popular are Tokyo Disneyland and Tokyo DisneySea, Asia’s 2 most visited theme parks. Tokyo is great overall and needs no comment. Tokyo is great overall and needs no comment. Tons to see. Worthwhile. The surprising negatives? Air can be bad at times.Construction dust is bothersome, noise annoying in middle of night; hotel stays near underground construction may be unpleasant as construction may take place in twilight sleeping hours. Prefab-construction/flexible rooms results in overhearing of conversations in business meetings and hotel disturbance from next-door snoring. Shoddy rapid construction may look nice; appearances are everything it is said but not when you have a business event or need sleep. Concerned that legal standards may be being ignored, or standards are far too low. So much to see and do and people are helpful and friendly. So much to see and do and people are helpful and friendly. The APA kodenmachi was difficult to find but does have stations and convenience stores near. The hotel has no facilities to offer (bar/ lounge etc). Staff are reasonably polite and helpful but there are better places to stay. No obvious emergency exits. One elevator and one washing machine. Comfy bed but pokey room and worse pillows in the world. As usual, tried to fit in too much! As usual, tried to fit in too much! There is so much choice in food from convenience stores, street stalls, cute sit down cafes with tastey cheap meals, right through to high end restaurants. There is something for everyone. You could say the same for the accommodation. Cheap budget rooms, through to the more expensive 5 star hotels. I like to stay in mid range hotels, but have also stayed in a capsule. No matter where I have stayed, the staff have always been fabulous. Even if they don't have a lot of English, they try so hard to assist with anything! They take so much pride in their job, their appearance and the impression they make on travellers. The transport in Japan is amazing, but if you are not really familiar with the system, allow extra time for finding exits, line changes, booking tickets and generally just moving through the crowds. A JR Pass is a must if you are doing any trips on the Shinkansen. Or maybe just stay in Tokyo where there is much to keep you busy in places such as Ueno, Asakusa and Daiba. And the shopping - wow!! There are so many great areas in Tokyo and so many interesting places to stay that it is hard to recommend a few. Tokyo is definitely a city you need to research before you get here. With many hotels and hostels ranging in price, the traveller should focus on staying in a location where they feel they will be comfortable staying in and venturing out from to see and experience the many things here. Once you do arrive and have a place to stay you should invest in a Suica card to get around the city by train, bus, and subway. The public transport is phenomenal with everything arriving on time and regularly and if you avoid rush hour you should be comfortable. For those who are otaku or tech-minded, Akihabara will be like a haven with many shops selling computers, video games, DVDs, anime, manga and electrical goods. For those who are all about high-culture, Ueno Park offers a selection of brilliant museums as well as an excellent green space. 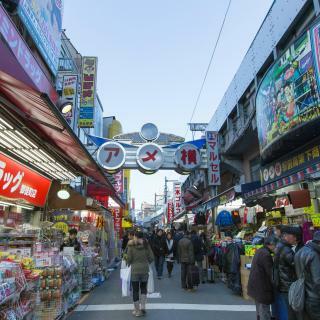 Shinjuku and Ginza are a shoppers paradise with so many stores and ateliers and restaurants. Speaking of restaurants, there are hundreds and if you wander down side streets you will find little gems. Food is tasty and relatively cheap if you are careful about where you go and the selection of food and drink is great (I will now judge restaurants and cafes based on whether they have coca cola floats or some delicious variation from now on). Traditional culture is on display everywhere, you just need to keep your eyes open and maybe wander around for a bit. Trendy areas such as Shinjuku will have shrines tucked away by skyscrapers. Overall Tokyo is great. You can travel directly to places or walk around and see where your wandering takes you. Tokyo is endlessly interesting. I am overwhelmed at how polite everyone was, courteous, friendly, helpful trying to understand what I was asking for. The accomodation was unlike anything I had experienced before down to heated toilet seats and music choice if you didn't want anyone to hear you attending to your business. The bed and pillows were comfy, food delicious and change of menu free buffet daily including Japanese and western food and as much as you liked. Fresh fruit and cappuccinos pastries to die for. Eateries surrounding the hotel served food so tasty better than I have had anywhere else in the world. Shopping amazing and you feel like royalty when being served especially in the large department stores. I'm definitely going back. Sleep late up late shops open til 8 pm and beyond. Streets very clean and people can see if you appear lost and just walk up to you and see if you need help. Japan made me feel special. Loved it . First time visitors to Tokyo need to understand that hotel rooms are TINY and EXPENSIVE. However, that alone is not a reason not to visit. It's still worth a visit, just be prepared to dig deep into your pockets for accommodation. Eating can be relatively affordable. Steer clear of hotel restaurants if you are on a budget. Go local for dining, there are restaurants on nearly every street and they need not cost you a fortune. There is much to see especially right now - cherry blossom time. This is my second time stayed here during my holiday and this hotel still my favorite hotel in Tokyo. The room size is bigger compare to most Tokyo’s hotel, the room facilities is good, a lot of choices for amenities and toiletteries, location very near to train station, convinience store, restaurants, and shopping center but not too crowded like any other place (such as shibuya or shinjuku). Very value for money. And last, the staff really friendly, helpful and they can speak English quite good. First and foremost, the location was superb. I would strongly recommend this hotel to anyone who wants to explore Asakusa and Sensoji area. The room was spacious for a Japanese standard, sparkly clean and it effectively provided all your needs for a basecamp. The hotel was also notably very generous with their towel and bath amenities. Asked for a room with Sensoji and Tokyo Skytree view, wasn't disappointed. Whomsoever in charge for the booking, I sincerely thank you for the perfect view. Very clean and quiet hotel in Shibuya - close to shopping, clubs and music venues and with the adult entertainment area a few streets away if you are that way inclined. Although the room was somewhat cosy (initial thought - OMG it is so small) the bed was very comfortable and toilet and shower were excellent. There was no wardrobe or hanging space in our room, but this was quickly addressed with a clothes horse. Front desk staff were excellent and always very helpful. Location close to shinjuku station, great bakeries, shoppings, etc. perfect for those who want to explore Shinjuku. 30 mins to Tokyo station (for shinkansen). They have all the amenities and pajamas like other hotels in Japan, plus washing (JPY 300) and drying machine (JPY 100). Easy to catch a taxi outside hotel. They also have assisted us to send our luggages to airport. We didnt get the best price though so book early as this hotel is very popular. My favorite hostel in Tokyo! Loved the location, just outside Shinjuku but close to everything via metro. I wanted to stay somewhere in Tokyo that was cool and offered more of a home away from home as opposed to a capsule hotel. Somewhere you could chill and take a few days to relax. Unplan was exactly that. Loved the coffee and all the staff. Would definitely go back and visit more of the unknown bars in the area! It was a cross the street from Nishishinjuku Gochome Station which was very great. It was also near the 64 Bus Stop from Shibuya. There are several convenient stores a few meters around the hotel. There are some restaurant that opens till midnight that are near the hotel. All of this was superb. It is also not too far from the Government Building and Shinjuku Chuo Park. You could just walk there from the hotel. As it was my first time going to a capsule hotel, I thought it would be a bit uncomfortable. However, the hotel was very comfortable and the location was very convenient to travel to places such as Harajuku or shibuya and it was close to great food places to shop and eat. The facilities was beautiful and the hotel supplied all our toiletries. The environment of the lobby was very relaxing and pleasant. This hotel is directly on the Ginza line, giving you access to Shibuya, Shinjuku, Harajuku and all of Japan’s craziness pretty much at your door step (and a 25 minute train ride). Stay here, you won’t regret it; it’s cheap and quiet. The local neighborhood has plenty to offer and it’s easy enough to get to the tourist spots by subway. 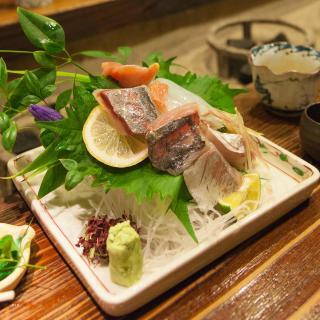 - Staff is very helpful and friendly - Location was amazing because it is in a quiet area and feels very local compared to other big hotels at big stations (e.g shinjuku or shibuya) - 3 minute walk from tamachi station and the walk is enjoyable. - Room is very clean and quiet, easy to sleep in. Cool modern hotel with awesome lobby area with workspace and a delicious bakery. Convenient location in terms of getting around the park and Tokyo but not particularly proximal to the main action within Shinjuku itself. The view of the room was excellent. We could see both the Skytree and Tokyo Tower as well as the night scene of Shibuya. The room and the bed were really large, much larger than we had in other hotels in Japan. Location adjacent to the Shinjuku station was outstanding. 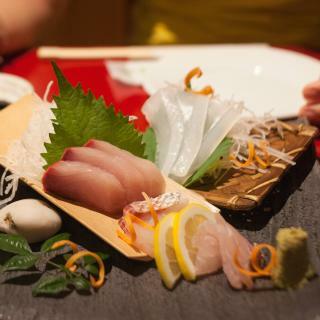 Great restaurants in the area and only 5 stops from Tokyo station. Rooms were large and clean. Hotel was quiet. This is among the best capsule hotels in Tokyo, it has separate sections for men and women so couples can spend the night in the same place. Me and my husband loved everything in Shibuya Tobu Hotel, it's so perfect! Buffet breakfast is good.The bed is comfortable to sleep. The room is clean and bright. The view of room is very good.The bathroom is clean. Service staff attitude is kind and friendly.